Nvidia has launched GeForce GTX 1080 Ti gaming graphic card for $699. According to the company, its new card is world’s fastest gaming gpu card with around 35 percent faster than the GTX 1080. It’s even faster than £1,100/$1,200 Titan X. 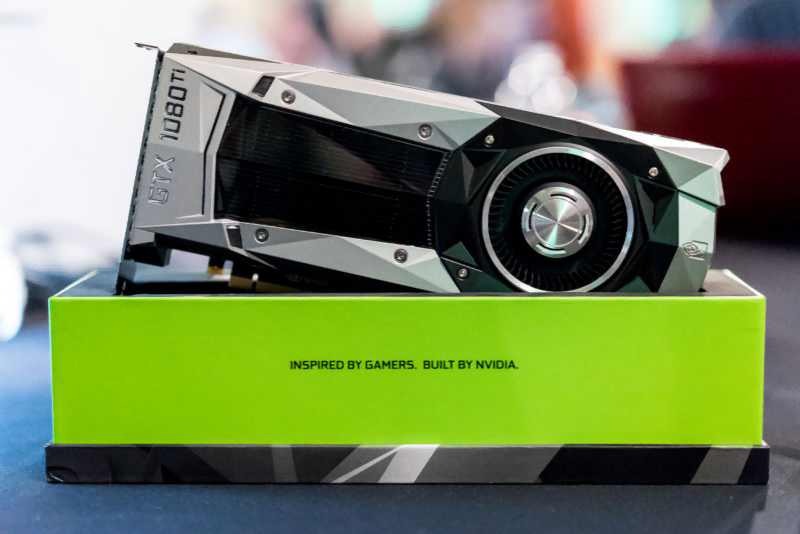 The new Nvidia GeForce GTX 1080 Ti and Titan X – both use the same GP102 GPU, with 3,584 stream processors and 224 texture units and 28 SMs. However, the 1080 Ti features a faster 11GB of GDDR5X memory runs at 11GHz, with a 352-bit memory interface and 88 ROP. The card also includes a better vapor chamber cooler on Founders Edition design cards. Also, Nvidia GeForce GTX 1080 Ti memory improvements will also benefit the GTX 1080 and GTX 1060. A new, pre-overclocked SKU of the GTX 1080 will feature the same 11GHz memory, while a new GTX 1060 SKU will feature 9GHz memory.